Pressure washers are trending right now. 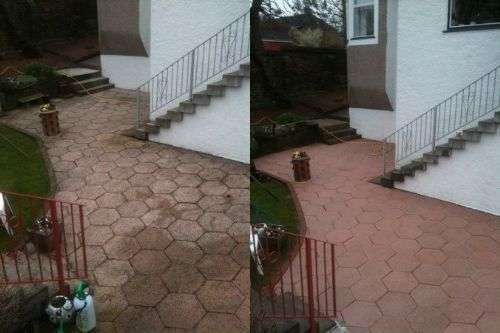 They have become quite popular because of their capability to make life easier for homeowners and professionals alike when it comes to cleaning and washing stubborn concrete and metal stains. 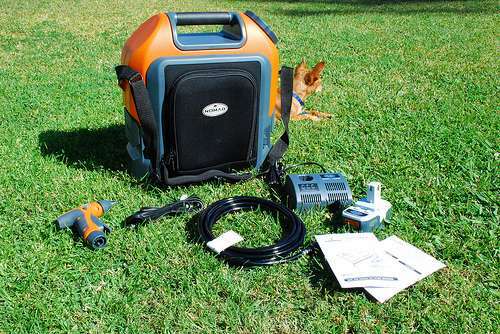 A portable pressure washer is designed to help you clean practically anything without wasting time and energy. The machine comes fitted with powerful motors that generate a tremendous amount of water ﻿﻿﻿pressure per square inch. Using the old garden hose to clean the driveway, garage, your car, your grill, and tool shed house, etc. wastes a lot of water and not to mention it really doesn’t get the job done as effectively as we wish. This is where a portable pressure washer with tank comes into play. You see, these pressure washers come with detergent tanks, where you can use a combination of pressure washer-compatible cleaning agents and detergents to get rid of oil, grease, tar and grime stains. 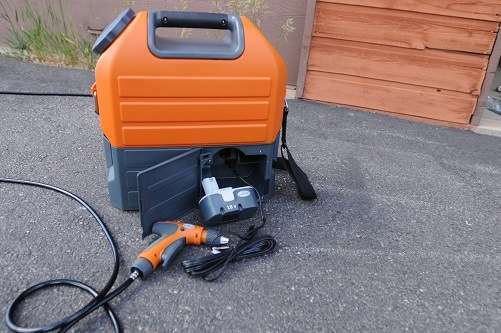 You can check here to see a list of the best portable/electric pressure washers available, but if you need something stronger in order to clean dirty parts of your house, pavement, driveway or walkway, you can browse through the list here that I've rounded up for the best gas pressure washers. 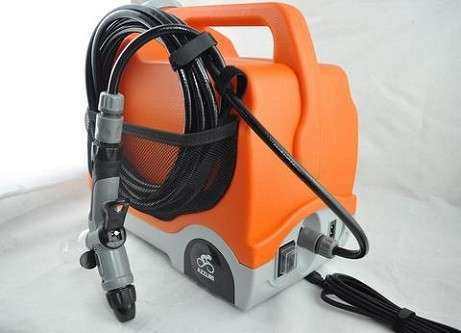 When it comes to portability and ease of use, especially when you talk about home cleaning activities, nothing can beat the functionality and options of an electric pressure washer. These pressure washers are designed to be portable and are fitted with durable tires so you can take the machine around any terrain and clean whatever you want. 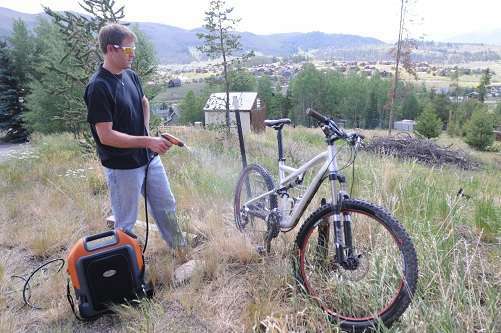 Portability also plays a key role when taking the machine anywhere you want to go. A portable electric ﻿pressure washe﻿r isn't as heavy as a gas powered pressure washer as it isn't fitted with a bulk motor engine. Gas pressure washers are designed to be bulky because they are built with powerful engines that generate water pressure of more than 3,100 PSI, which is a lot of pressure, and is ideal for commercial cleaning. These are primarily used by cleaning companies. Plus, electric pressure washers also come with long power cords, measuring up to 25 feet, which means you don’t have to drag the machine around wherever you go to clean anything outside. You can keep the machine at a safe distance while washing your garage or your metal roof. Another reason to opt for a portable heated pressure washer is that they come fitted with state-of-the-art sound dampening or suppressing technology. Gas powered washers make a lot of noise that will always bother your neighbors. A portable electric washer does not make any radical noise or irritating sound, which means you can wash your patio, deck, walkway, driveway or pavement anytime and as frequently as you want. 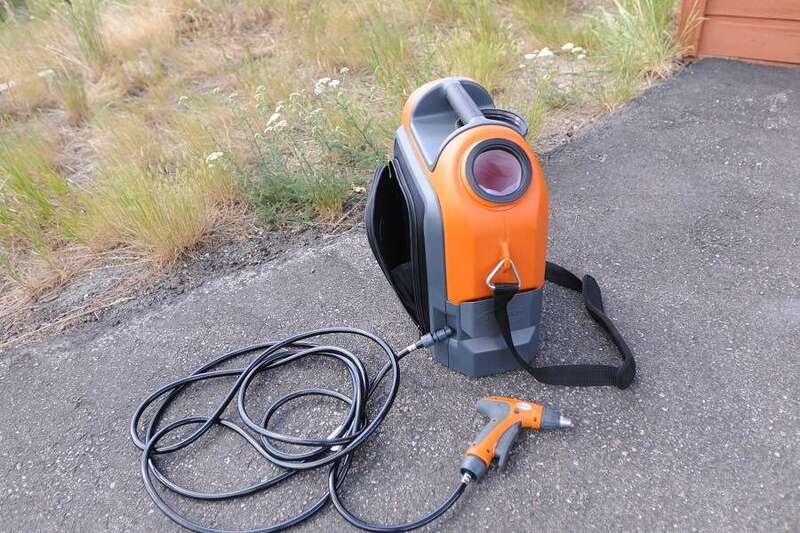 The best portable pressure washers come with SoundSeal technology. It is important to understand that pressure washers come in two different types – hot water and cold water washers. 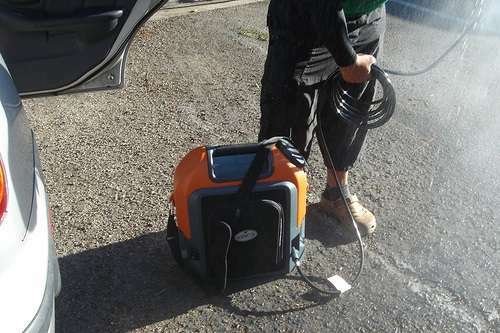 While cold water pressure washers are good for cleaning your car, your motorbike, outside windows and other sensitive objects, a hot water pressure washer is perfect for washing thick layers of dirt and grime. Washing tar and oil stains on the garage floor or anywhere else on your property is a daunting task, if you consider using a hose and some detergent. You will just be wasting your time, water and your energy. A portable hot water pressure washer generates an ideal pressure, not to mention it sprays hot water so that thick layers of dirt and stains come out quicker. Moreover, you can dissolve the substance easily and effectively using hot water compared to cold water. Tea and coffee, for example, can be quickly dissolved in hot or warm water. However, they will take time dissolving in cold or room-temperature water. Moreover, because hot water has the capability to split molecules away from numerous substances, using it to wash oily surfaces will be a breeze. In addition to this, boiling hot water can also effectively and efficiently exterminate bacterial growth and the microorganisms thriving in dirty and stain-infested areas outside your house. This is why a portable pressure washer with hot water feature is in demand by households that are big on hygiene control, both inside and outside the house. You can use your pressure washer to clean your car more effectively. After you spray your car using the appropriate detergent, you will be able to thoroughly inspect it for dents and other damages. The pressure washer will completely rinse your getting rid of salt deposits, thick layers of dirt and dust and any grime stuck on the upper sides of the tires. Not to mention you can wash your car in a matter of minutes. Using a portable pressure washer with a hot water option will make it easy for you to clean all the dirt layers sticking on the concrete of your driveway or garage. You can adjust the setting to maximum, using the 0-degree nozzle tip you can blast away grime and tar off your roof and floor outside. You can also use a 25-degree nozzle tip to clean your patio furniture. If you’ve always struggled to clean your BBQ grill after having a party, using a pressure washer will undoubtedly give you peace of mind. Using the maximum pressure setting and the 0-degree nozzle, you can wash and clean the fat and grime off your metal grill in a matter of seconds. So, these are some excellent reasons and pointers why you should invest in a portable pressure washer. 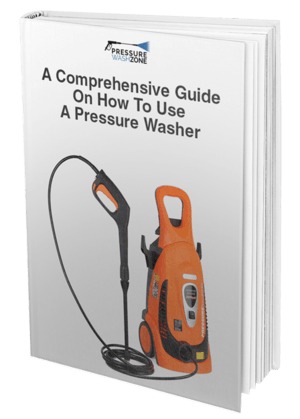 Now that you're familiar with their uses, click here to see a list of the best portable/electric pressure washers and the best gas pressure washers he﻿﻿re if you need more power for your cleaning.